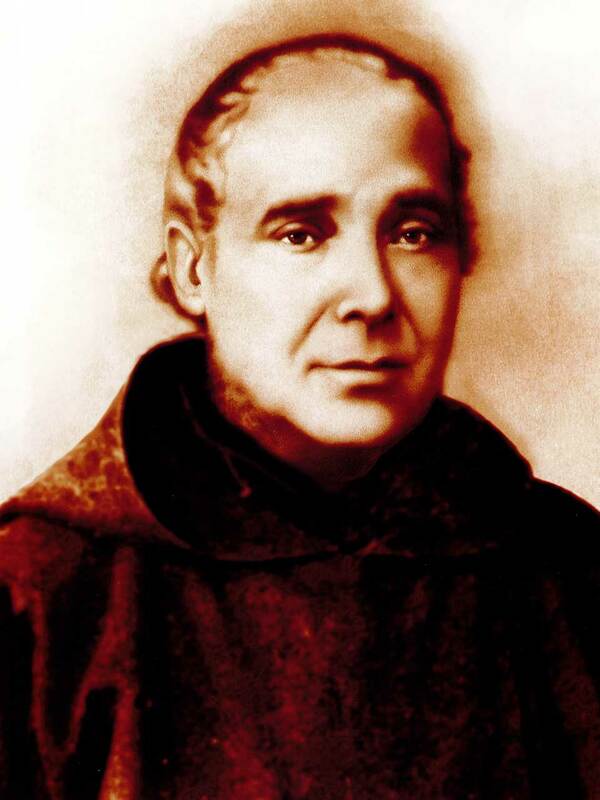 Jose Tous y Soler (baptized Jose-Nicolas-Jaime) was born on March 31, 1811 in Igualada, the ninth of twelve children born to Nicolas Tous Carrera and Francisca Soler Ferrer. They were a wealthy family with profound Christian roots. In 1827, at the age of 16, he donned the Capuchin habit and was ordained a priest in 1834. The following year, Father Jose on account of the suppression of religious houses decreed by the government, he and his fellow friars of Santa Madrona were imprisoned in Monjuic fortress in Barcelona. After 18 days, he was freed and began the harsh journey of exile. In 1836, he returned to France and completed his studies in moral theology, gaining the title of preacher. During this period he served as chaplain to the Benedictine nuns of Perpetual Adoration. He returned to Spain in 1843, in hopes of being able to rejoin Capuchin conventual life, but 'liberal' laws of the time prevented this. Instead, Father Jose went to live with his family, always remaining faithful to the austere, penitential style of Capuchin life. In March 1850, Father Jose founded the Institute of the Capuchin Sisters of the Mother of the Good Shepherd. He personally drafted the Constitutions of the Institute he founded which very clearly show the two principles on which the life of the sisters were to rest; devotion to Mary, Mother of the Good Shepherd and the education of children and young people. Father Jose died on February 27, 1871, while celebrating Mass in the school of the Mother of the Good Shepherd in Barcelona. He was beatified by Pope Benedict XVI on April 25, 2010. Lord, you gathered all your commandments into the one commandment of love of God and love of our brothers and sisters, grant that imitating Blessed Jose, we may dedicate ourselves to the service of our brothers and sisters so that we may be blessed by you in heaven. We ask this through our Lord Jesus Christ, your Son, who lives and reigns with you and the Holy Spirit, one God, for ever and ever.